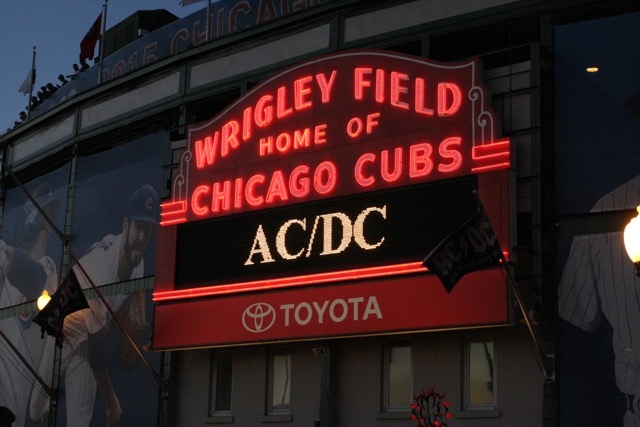 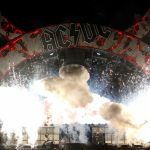 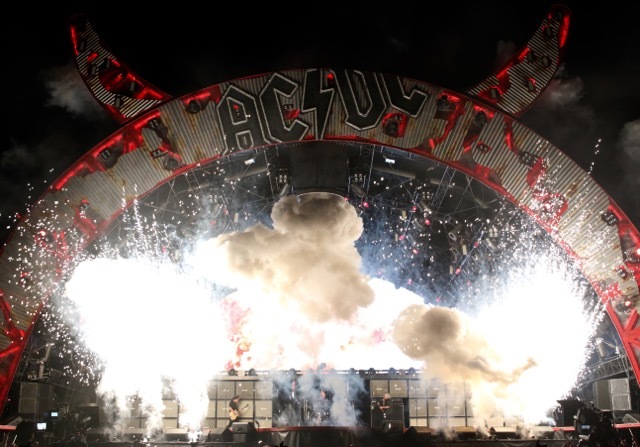 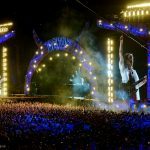 Australia’s AC/DC steamrolled their way into Wrigley Field Tuesday night on a picture perfect evening for outdoor music at a baseball palace. 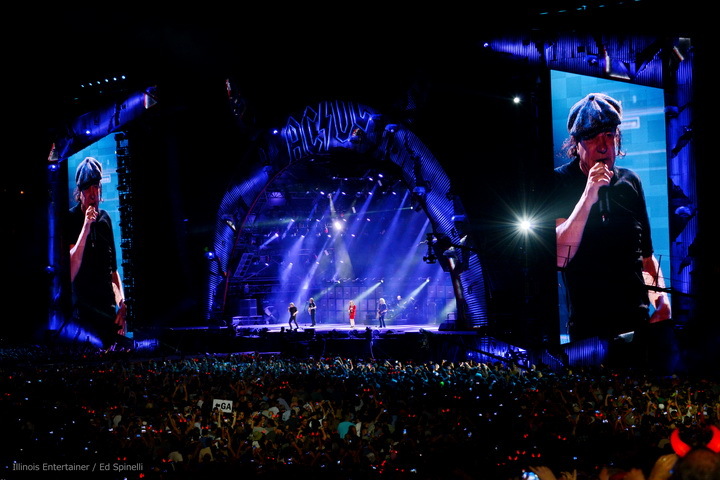 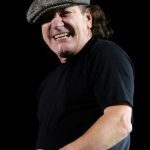 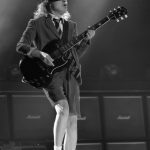 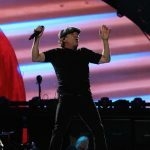 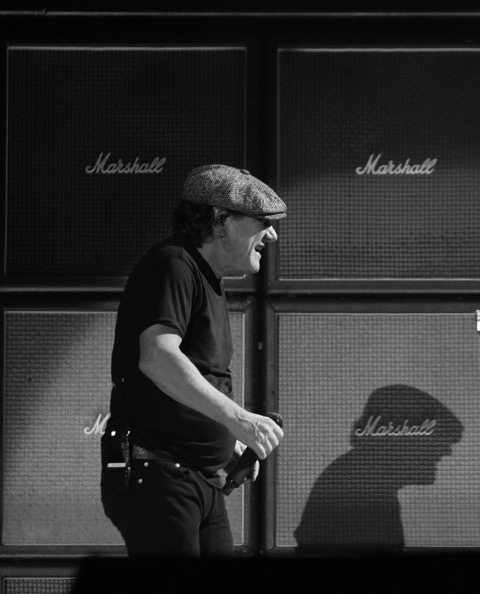 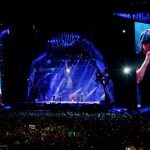 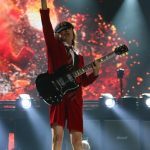 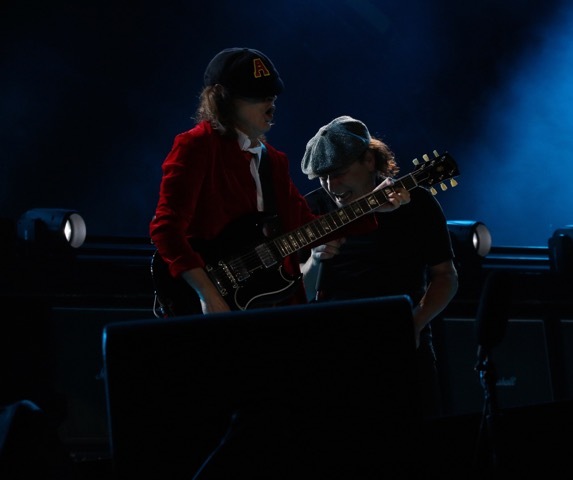 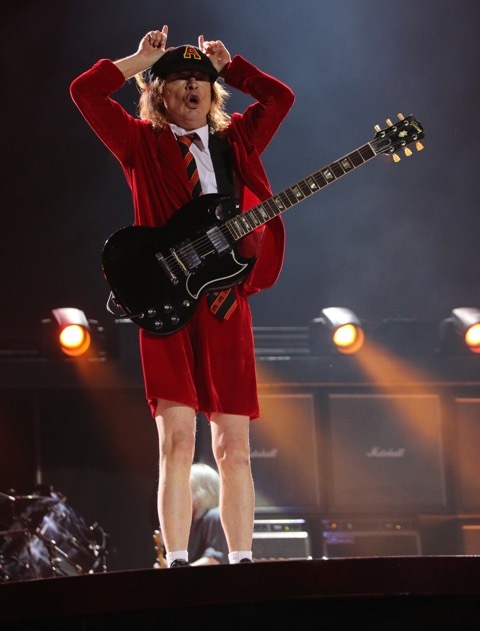 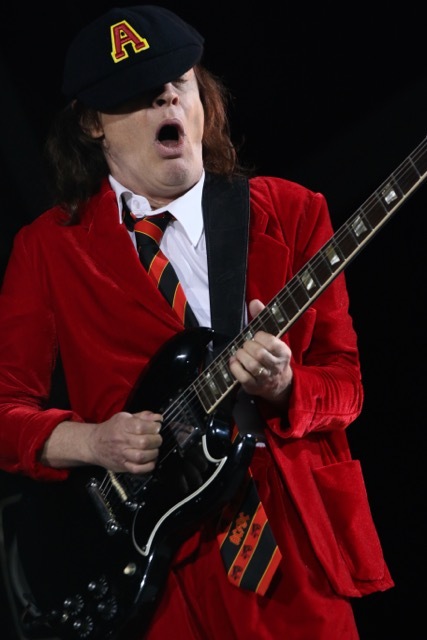 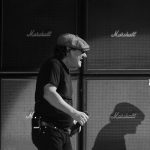 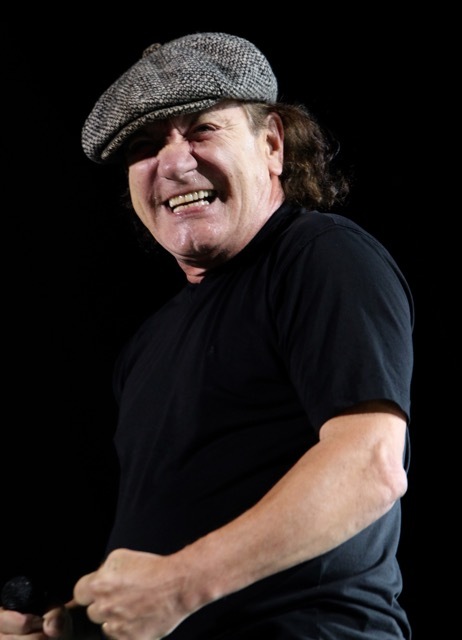 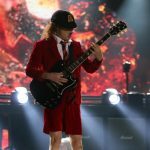 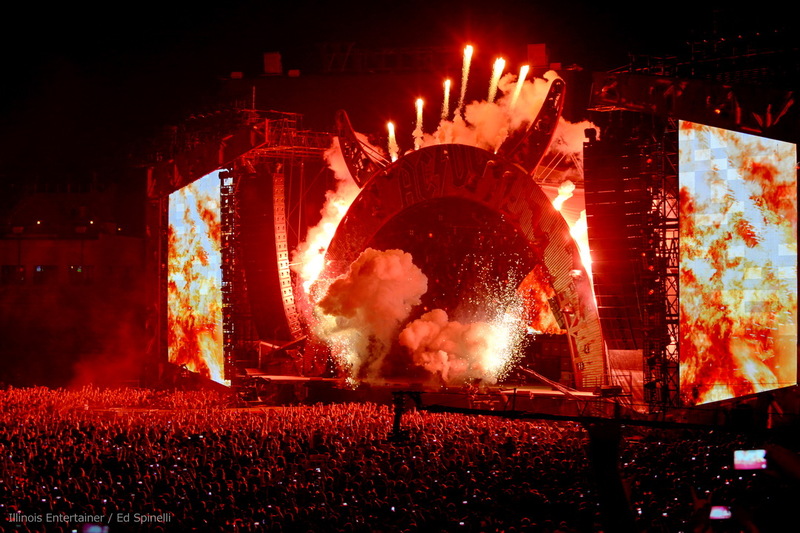 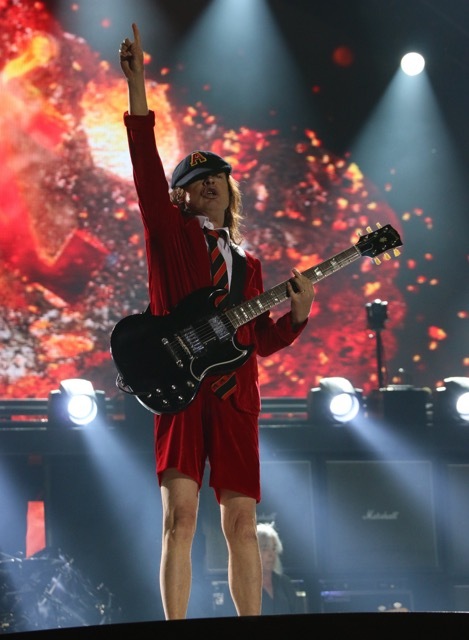 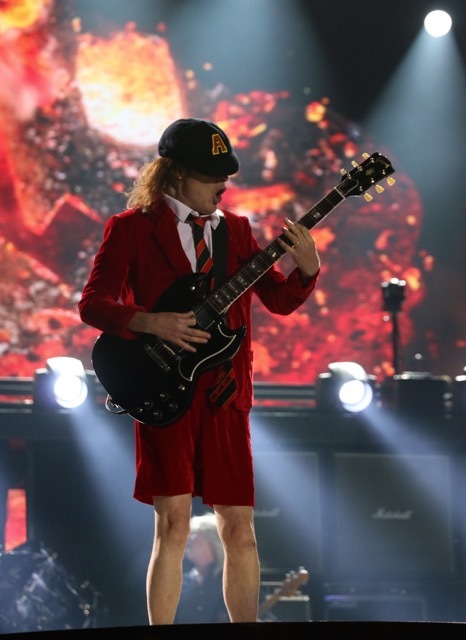 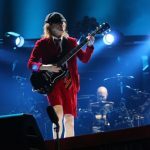 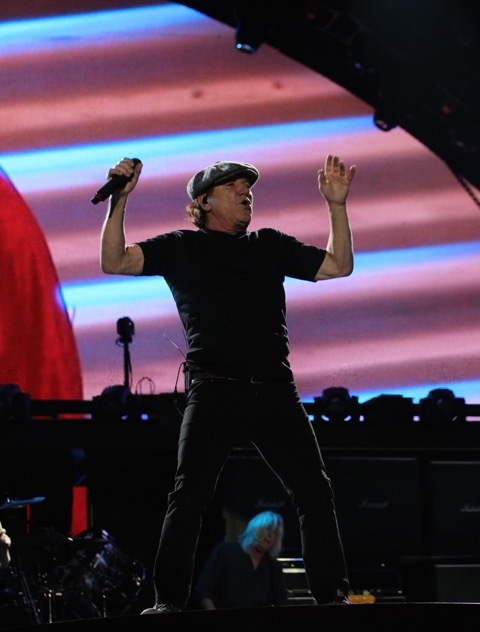 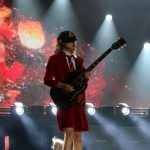 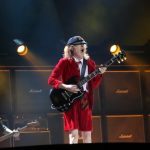 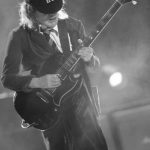 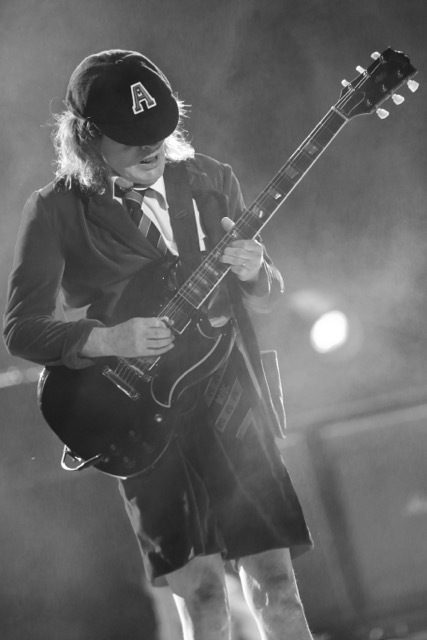 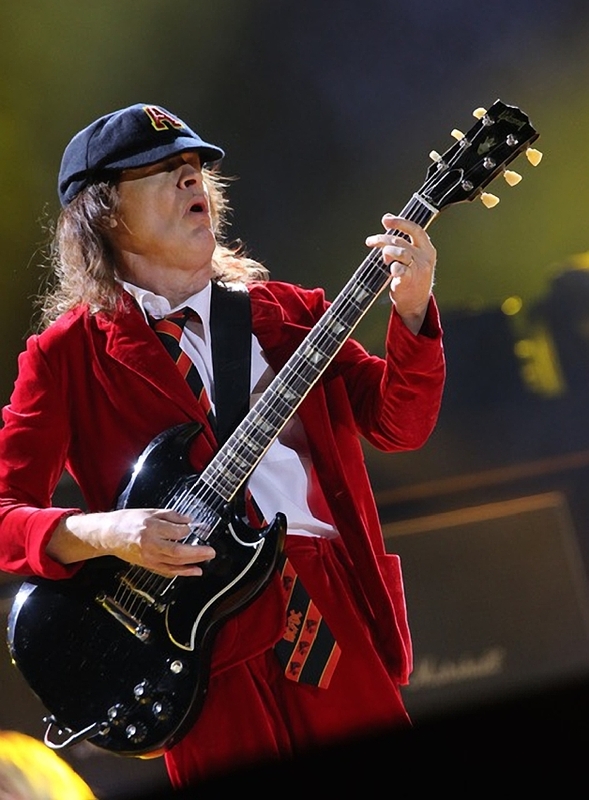 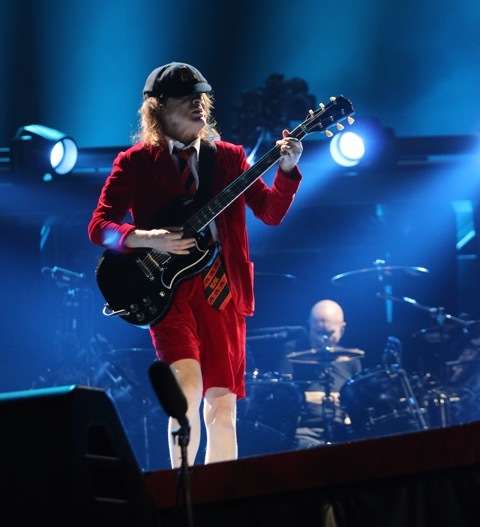 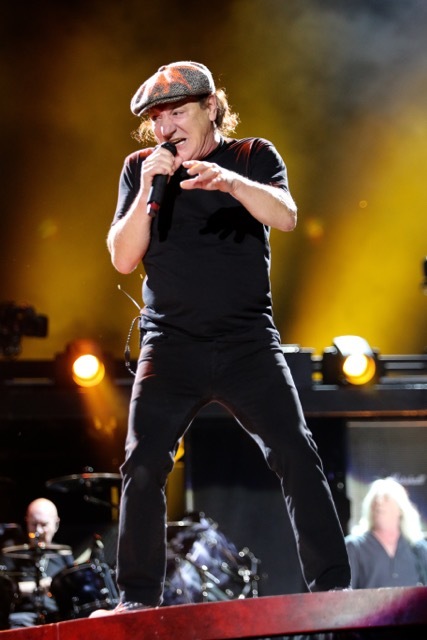 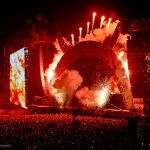 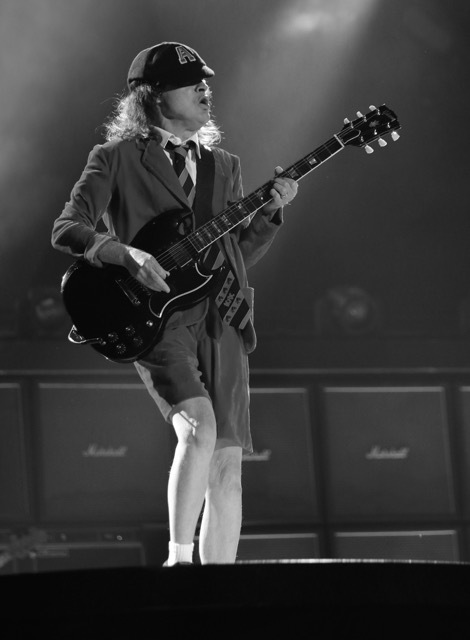 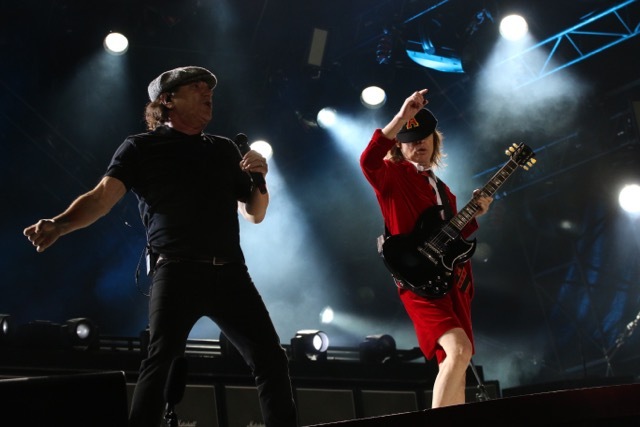 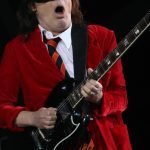 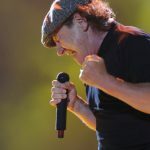 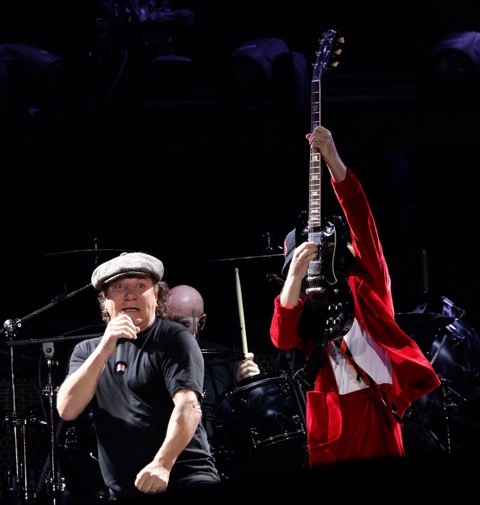 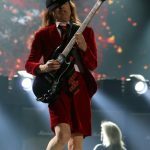 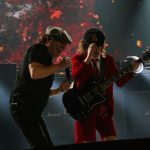 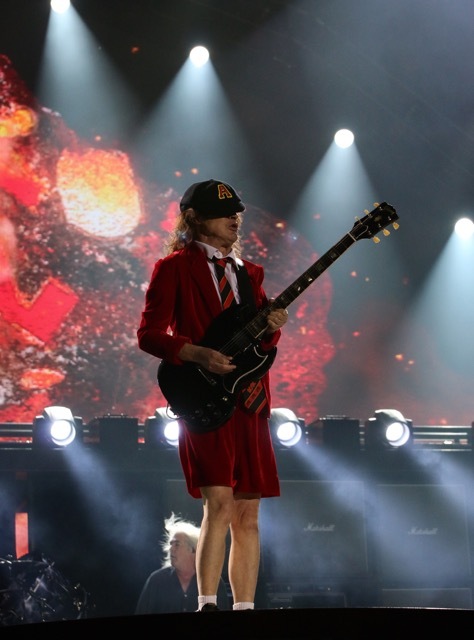 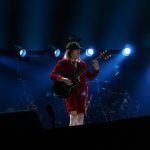 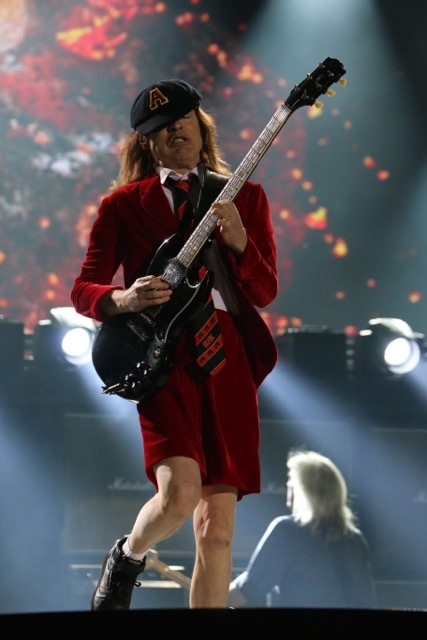 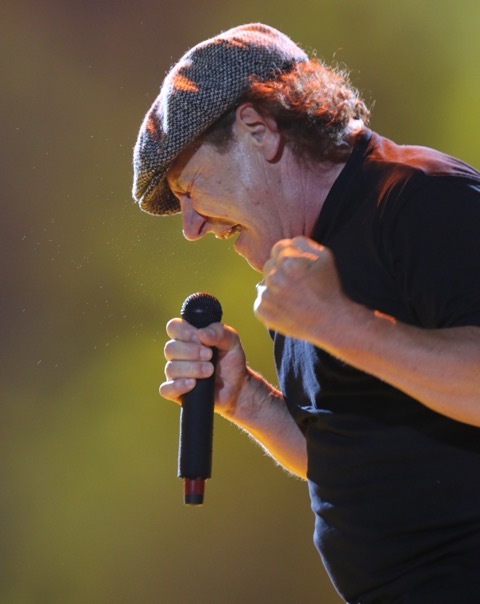 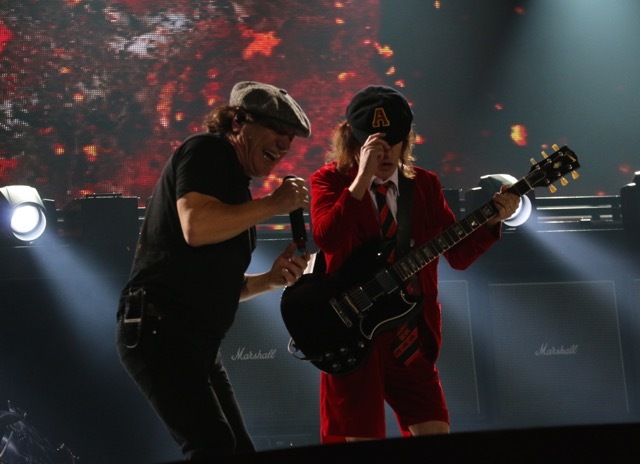 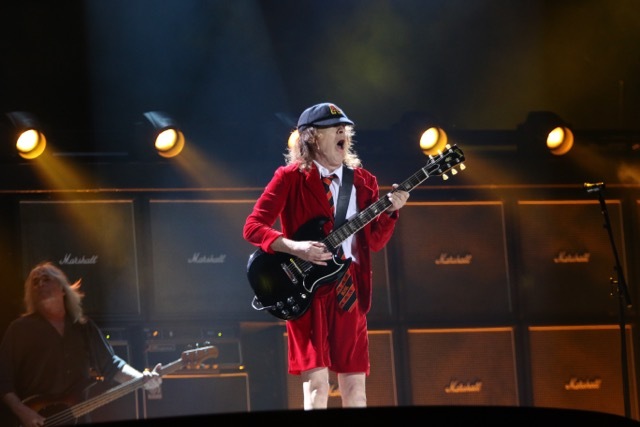 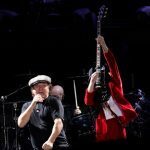 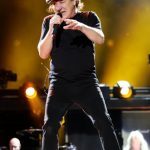 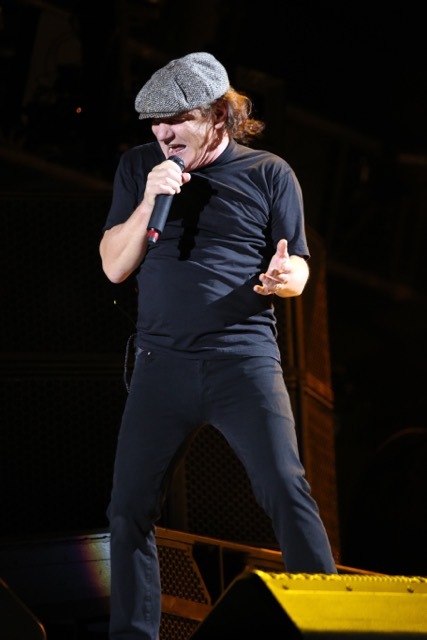 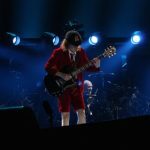 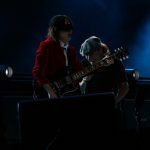 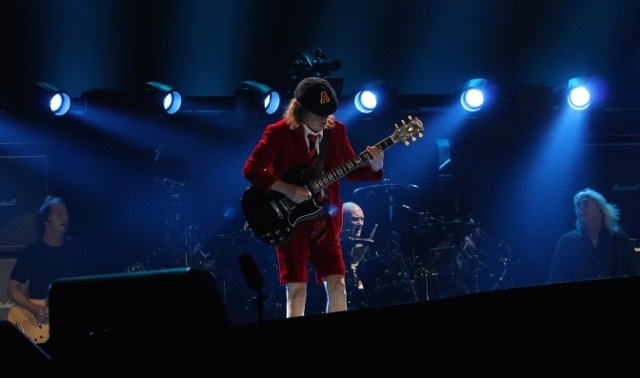 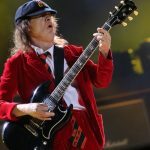 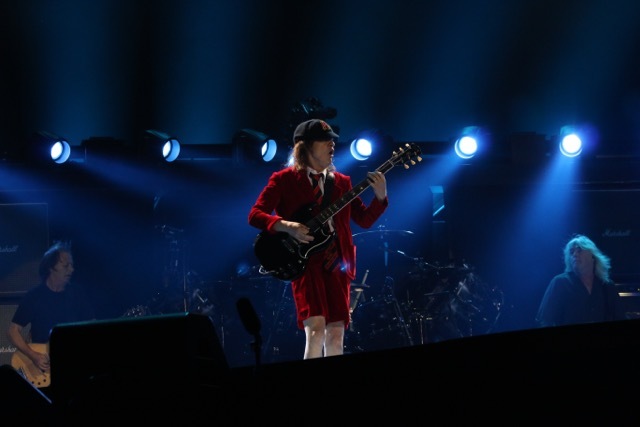 The quintet essentially has been reduced to one original member (guitarist Angus Young), though lead singer Brian Johnson has now been with the band longer than the tenure of original vocalist, Bon Scott. 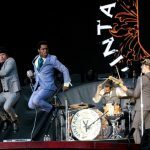 Personnel changes certainly have not stopped from using a tried and true formula they’ve been using since their formation in 1973. 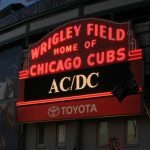 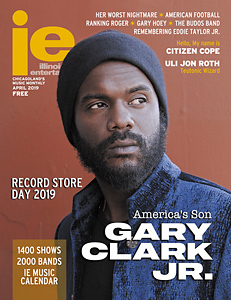 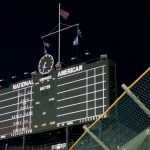 When it was all over, there were quarts of spilled beer left on the lawn of the Friendly Confines, copious amounts of sweat, and even an interlude involving a neck tie playing a guitar. 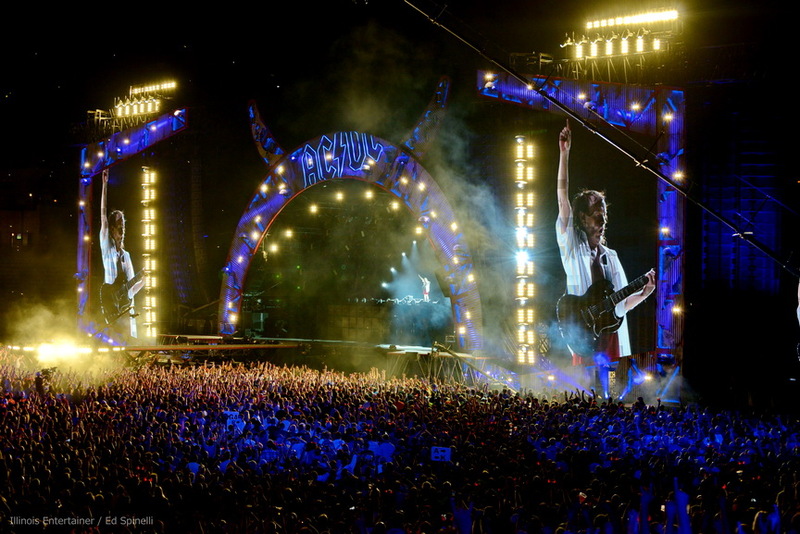 All of this on a school night? 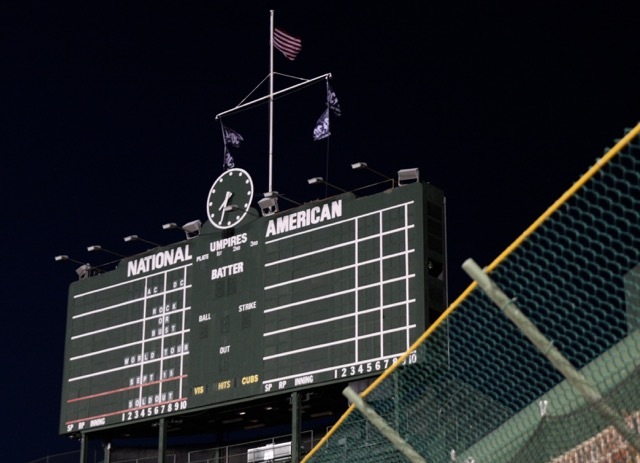 Your next day detention was never more worth it. 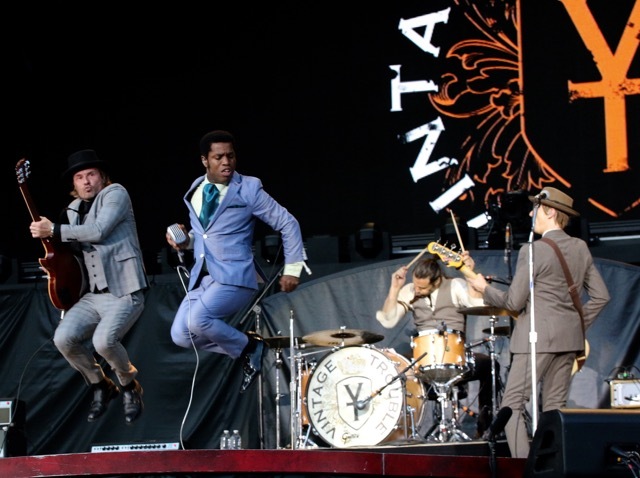 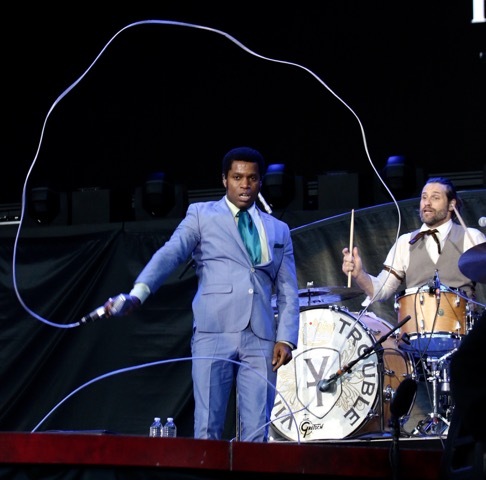 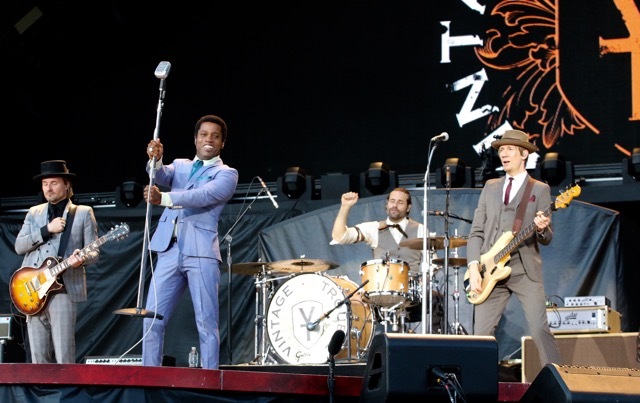 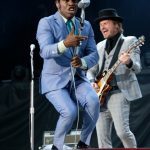 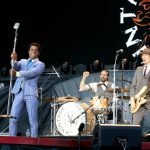 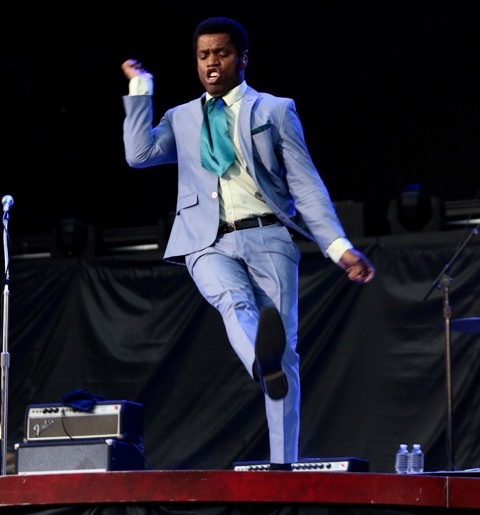 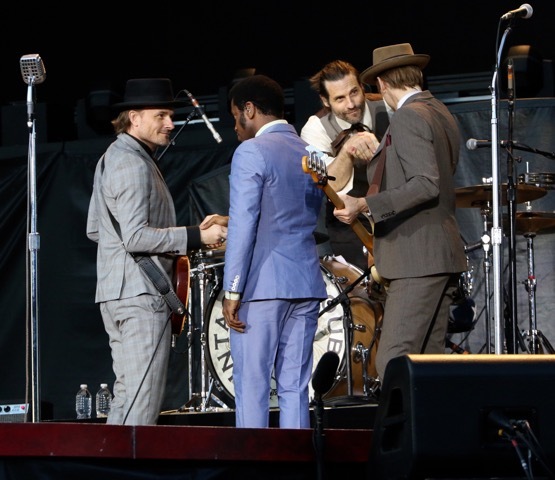 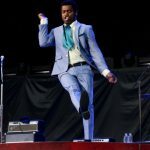 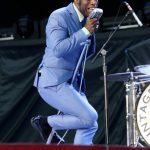 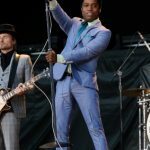 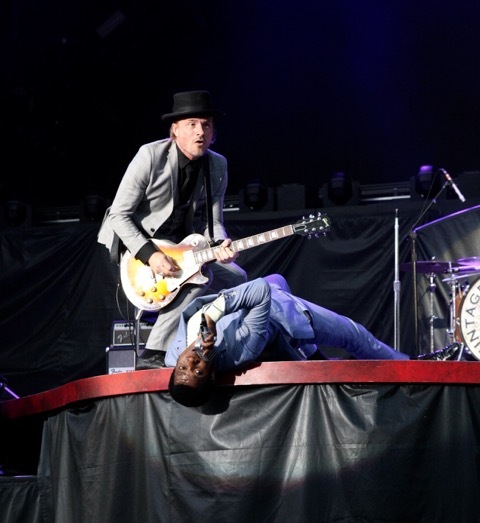 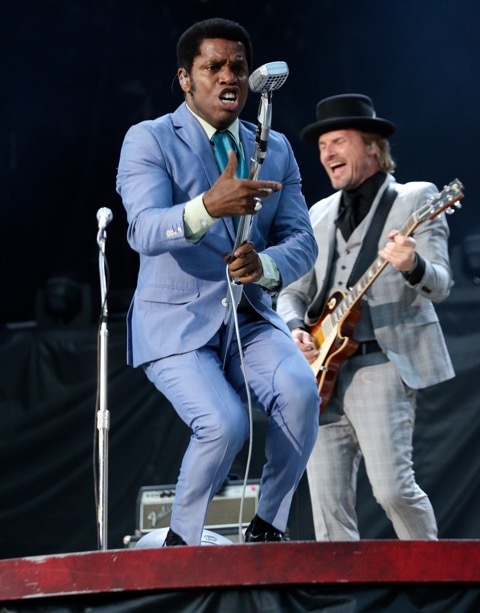 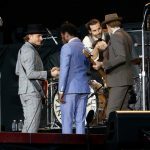 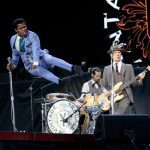 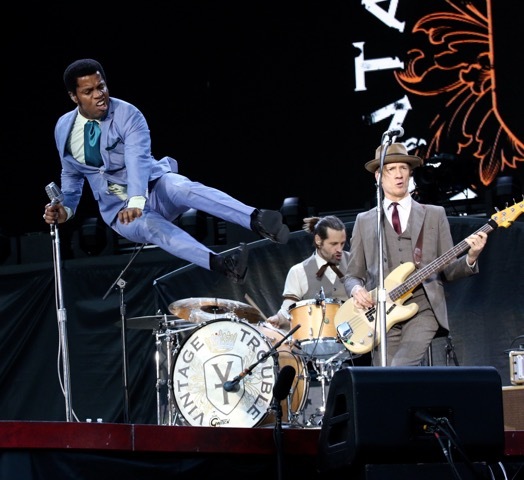 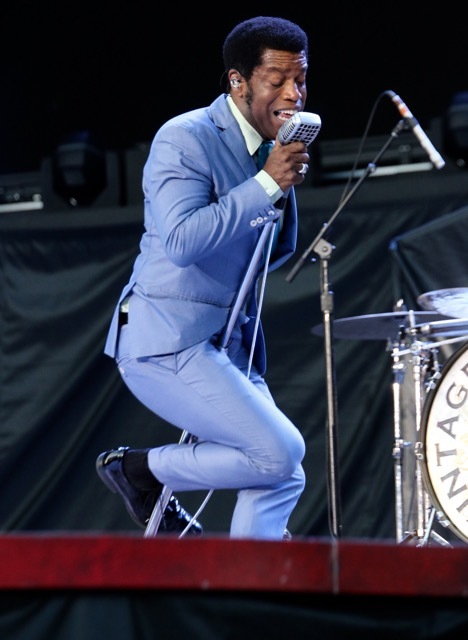 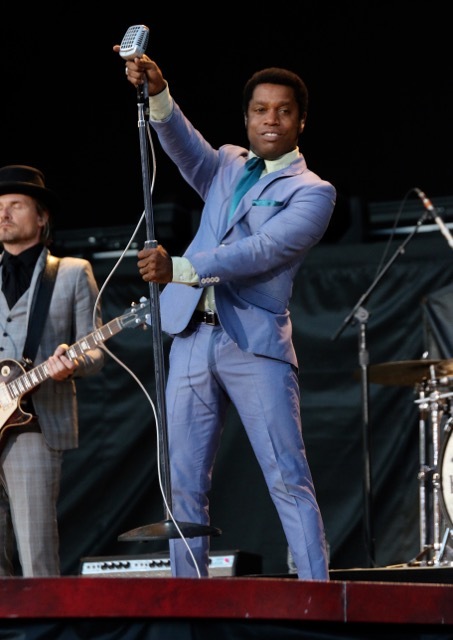 R&B saviors Vintage Trouble ditched third period French to help get things started.